We evaluate the excellent Vectronix Terrapin to see just how good it is. 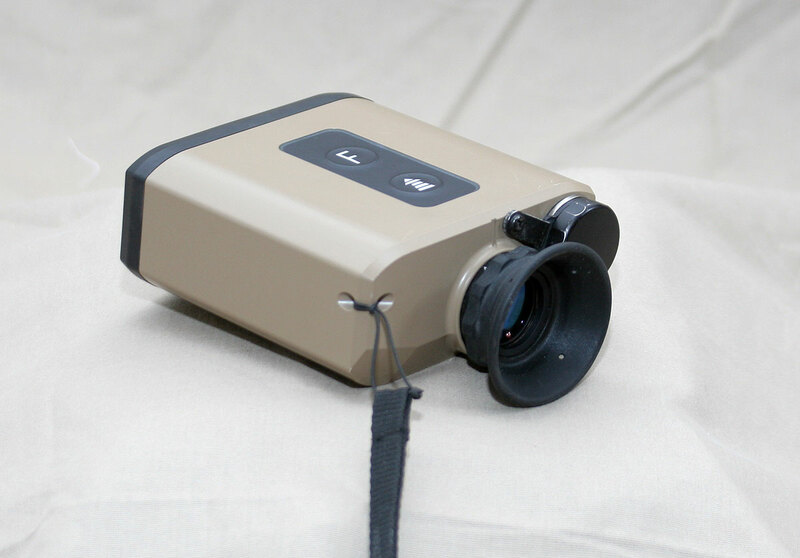 The Laser Range Finder (LRF) continues to be a valuable part of the snipers kit and we are constantly on the lookout for the ideal LRF that is compact, durable, and affordable yet provides ranging capability to 2000+ yards. There are some very nice units from Leica, Zeiss, Newcon, Sig and others, but we wanted to provide a review of a very high end model that is used by military sniper teams from around the globe. When it comes to the premier portable LRFs for both the sniper team and the forward observer that has to range target beyond 10km, then the name Vertronix will always come up. 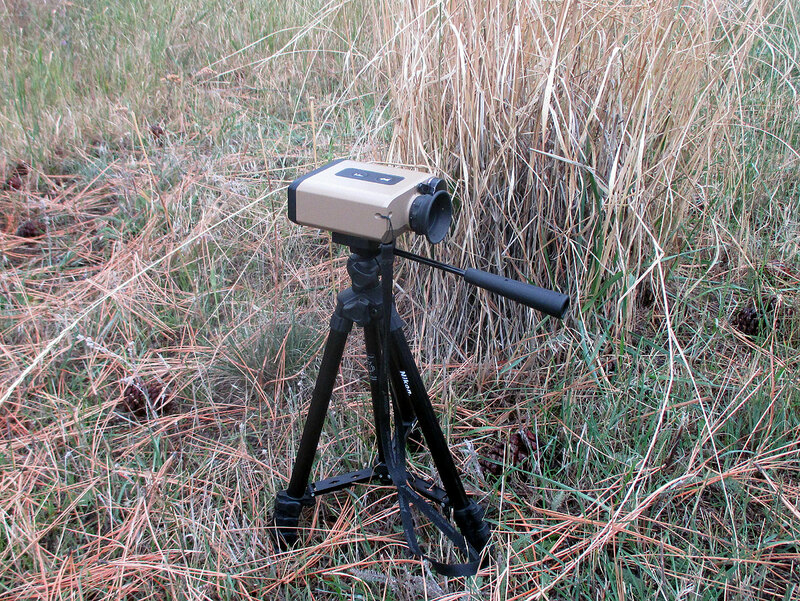 The Terrapin portable compact LRF had been the gold standard for sniper teams for many years, and then it was eventually replaced by the Vectronix PLRF25C on March 1 of 2014. The Terrapin can still be found for sale at a few places that have some old new stock still remaining, but those are running out. Since they are still in use by many teams and there are some still out there for sale, we still wanted to provide a review of the Terrapin here. One of the reasons we elected to review the Terrapin is that the selling price was about $2000, which while it is still expensive, it is a lot less than the $8500 for its replacement, the PLRF25C LRF. Vectronix caters to the very high end military grade laser range finding market where price is not nearly as important as is the performance, and their high end units truly are phenomenal. 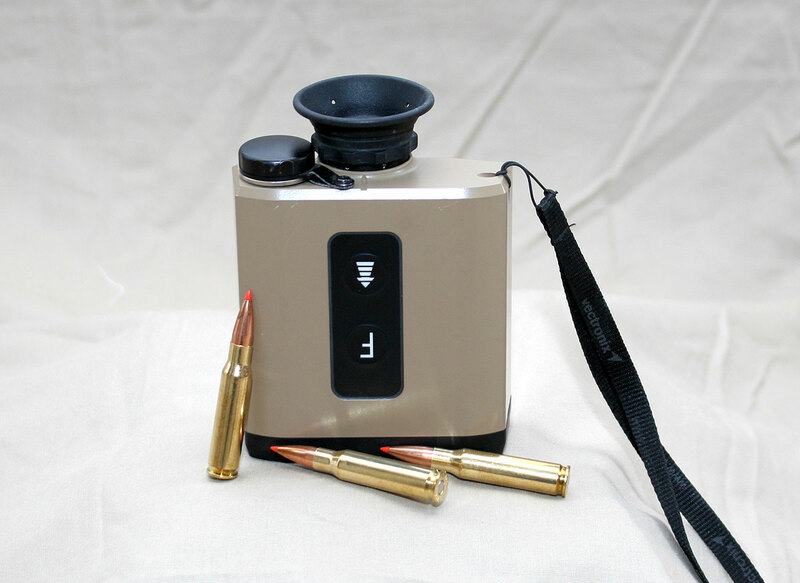 The new PLRF25C can range to 4000+ meters reliably, but the price is prohibitive, even for some military units. We had easy access to a Terrapin for testing since one of our instructors here at Sniper Central has one. It was time to provide a good in depth look at it in order to compare some of the lower priced mid range LRFs to it to see how they compared. The Terrapin has a nice padded nylon carrying case which provides a good storage area for the LRF as well as a spot for the instruction manual inside. When it comes to the manual, it is not often that we comment on them, but Vectronix has done a really nice job striking a balance between being too vague with the instructions and being too wordy. There are nicely drawn images that go along with the simple and easy to follow instructions which have a nice progression from the basic operations at the front to the more complex features outlined toward the back. Their documentation department did a good job. The size of the Terrapin is on the large size for a portable LRF and with its thick and robust aluminum exterior housing, it gives the sense of durability, though a bit hefty. It weighs in at just over one pound and the size is just a tad bigger than the Zeiss PRF. There is a hole drilled through one of the corners where the lanyard attaches to help with carrying. On the front of the LRF the black plate is either a hard rubber or a softer plastic, or a combination of the two, it is hard to tell. It is attached firmly to the main housing and shields the 24mm objective lens and the laser emitter/receiver. On the rear of the unit there is a large rubber eye cup that is large enough to set the operators eye at the desired eye relief for the unit. When you bring it up to your eye, if the end of the eye cup is lightly touching your eye brow, then you’ll have a good sight picture. The rubber cup is also easily folded forward onto itself which keeps it away from your eye and allows the unit to be used while wearing glasses. There is plenty of eye relief to provide the full sight picture with glasses, goggles or sunglasses in place. The eyecup itself also has four small holes around the edge, which we honestly are not sure why they are there, but perhaps has something to do with its use with night vision devices which can be attached to the LRF. The eyepiece has a large spread of diopter adjustment to dial in the optics for individual eyes, especially if someone has less than perfect eyesight. There is a ring with raised knobs that the rubber eye cup is attached to and that ring adjusts smoothly for the diopter adjustment. There are numbers marked on that ring to allow a user to remember and then set the eyepiece to their eye when they take over operation. Just to the right of the eyepiece is the battery compartment with its aluminum cap that is attached to the housing to prevent Murphy’s Law from rearing its head and the operator losing the cap when changing the batteries. The documentation indicates that the unit is good for 7000+ uses on a set of batteries. It does use a lithium CR123A battery which is not a typical common battery, though it is available from any store with a good battery selection. The optical quality of the Terrapin is pretty good, the glass and coatings that are very high quality, but the magnification is only 5x. This low magnification means using the Terrapin as a backup to the team’s binoculars is likely not a feasible option. 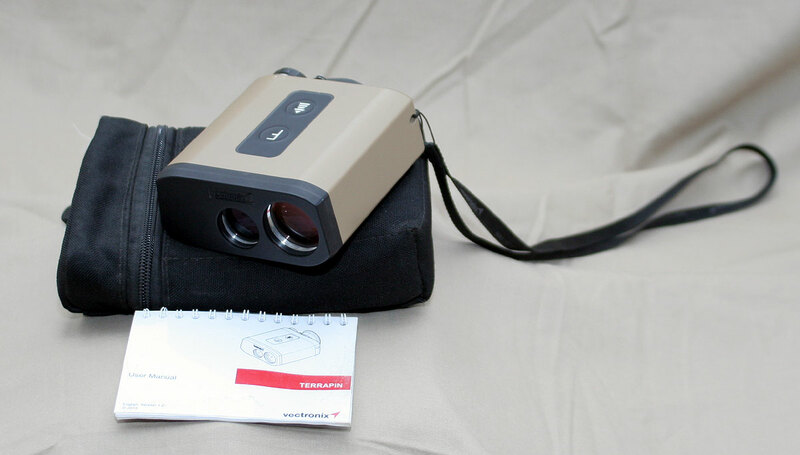 Of course, Vectronix offers some more powerful LRFs that are indeed binoculars with a very high power laser range finder, but at over $12,000 USD, they are even more expensive, though they do have phenomenal ranging capability. While discussing the exterior features of the Terrapin, we do want to mention that it does incorporate a threaded mount on the bottom that fits the standard tripod mount threads. This allows for the use of a tripod to help stabilize the device when trying to range distant targets. A major contributor to failing to get a range reading on distant targets is the inability of the operator to hold the unit stable enough to allow the LRF to get a reading on your desired target. But being able to use a tripod helps tremendously while ranging, but that tripod introduces more equipment and bulk to the sniper teams kit. Though the same bipod used for a spotting scope works on the Terrapin as well. Operation of the Terrapin is easy, as most LRFs are. There are only two buttons and they are located on the top of the unit right in the middle. The button closest to the user is the ranging button and the one in front of it is used for setting the configuration. There are the typical features like being able to set the units to yards or meters and there is a third option for feet, though that is not something many shooters or snipers would utilize. There is a night vision compatibility mode as well which reduces the brightness of the illuminated readout. Some other handy settings and features include the “gate” feature which will tell the Terrapin NOT to get a reading on anything under a given range that is configurable in the device. This is helpful for lasing through nearby brush or chainlink fence, etc. Additionally it has the ability to give you three different ranges with a single laze, which you can then cycle through. This is done when your desired target might be near or behind various other objects, it will then report the range to each of the objects. The operation is simple enough, simply press and release the range button and in a second or two it displays the range. The delay is a bit longer than some of the other units on the market, but it is not too slow. To get the ‘slope range’ to the target, press and hold the range button and then release it when the reticle is on the target. The laser itself is more powerful than even the Leica’s and other upper mid-range LRFs. The Terrapin has a stated range capability of 20-2400 meters (2600+ yards) and the “Specified Performance” where the unit returns a range 90% of the time on a surface with an albedo of .6 (about 60% reflective) is 1800 meters. The whole albedo rating is very technical which is fitting for this very technical and high quality measuring instrument. For us, the real world is what matters, not lab controlled tests. So out in the real world we were able to get very consistent ranges on targets at the range where we conduct our Long Range Precision Marksman classes out past a mile when we were holding it by hand! This was very impressive results and it is clearly is a step above even the newest Leica, Zeiss and Sig units. The penalty you pay for this performance is in the cost, the size and weight, and in the slower readings from the more powerful laser. When we mounted the unit to a tripod and began testing it to extreme ranges, things got crazy impressive. We were getting ranges over 3000 yards (see picture below) on a non reflective treed hillside, through a tight loophole of nearby trees. If you are doing the math, that is 1.7+ miles, and that was with 100% reliability, it did not fail to give us a reading when we had it on the tripod at those ranges. We tried it further up the hillside, but we went beyond its capability at about 3300 yards on this hillside on this particular day. Notice in the image that there was a high humidity haze in the air from the rain we received the night before, which is less than ideal conditions. The Terrapin does not have the nice “continuous scan” feature like what is found on the Sig Kilo 2000, but in reality with its powerful laser, it doesn’t need it either. 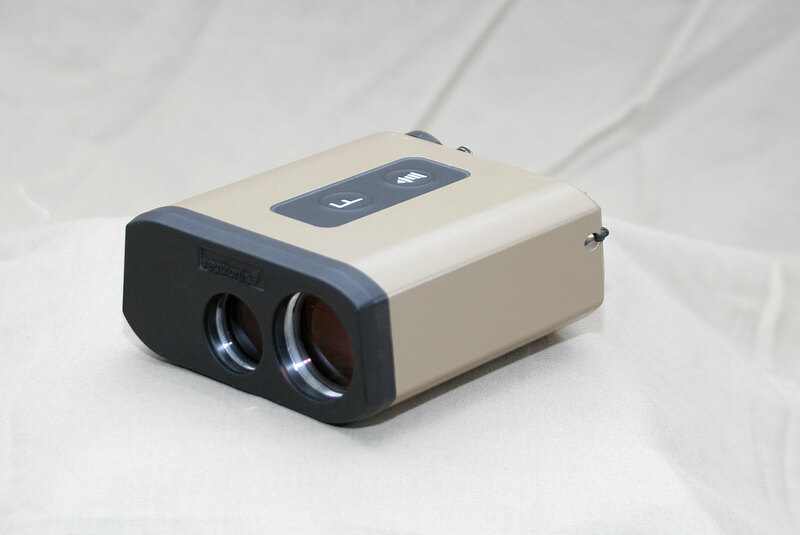 The laser is still a Class 1 eye safe laser, which is a good thing, and it is accurate to +/- 3 meters. This amount of error is a bit less accurate than the other units, but it comes with the longer range capability and it is still plenty accurate for sniping and long range shooting. The Terrapin also has an actual etched Mil reticle that can be used for range estimation even if the laser goes down or if you are in a high threat environment where laser detection is possible. 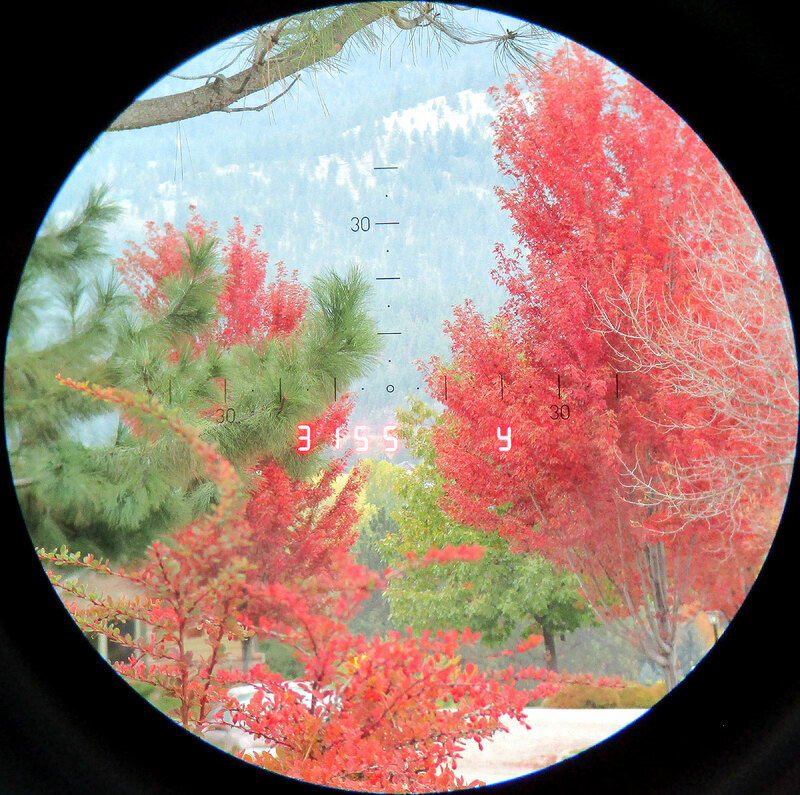 Though with only 5x magnification the Mil ranging capability is going to be limited. Without a doubt this is one of the creme-of-the-crop Laser Range Finders that is are out there, even if it has been replaced and is no longer available. If the budget can accommodate the Terrapin, than the performance justifies the price. Of course, these are no longer available and the replacement is four times the price as the Terrapin. The laser on the PLRF25C is only twice as powerful as the one on the Terrapin, though it is smaller and more portable. There is a useful spot in the market for the 2500 meter capable small LRF, and some other units like some of the Newcon LRFs may fit well here. Unfortunately Vectronix has stopped making the Terrapin as it is a solid option for snipers and it still impresses.